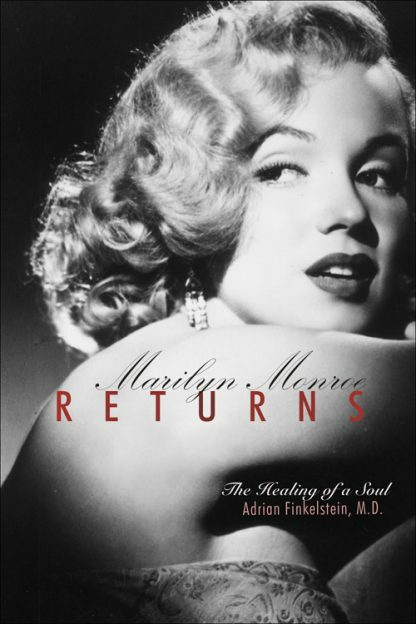 Red Wheel ∕ Weiser Online Bookstore | Marilyn Monroe Returns: The Healing of a Soul: The Incredible Story of the Reincarnation of Marilyn Monroe by Adrian Finkelstein, M.D. A Legend Returns and a Star Is Born! Marilyn Monroe Returns reveals provocative new evidence that the reincarnation of Marilyn Monroe is a top-of-the-charts Canadian singer named Sherrie Lea Laird, a woman who shares undeniably remarkable similarities with the legendary icon. Stunning photos throughout the book powerfully demonstrate the many characteristics these two ladies share. In her own words, Sherrie Lea reflects on a lifetime of being Marilyn: her childhood as Norma Jean, her rise to superstardom, as well as her many loves. And, most dramatically, Sherrie Lea answers a question that has plagued Marilyn's fans for more than forty years: Was Marilyn's death truly a suicide? "When I was eleven or twelve, I was sitting on my aunt's knee and we were talking about the beauty mark just above my lip. I asked what it was. It looked stupid to me. She began singing, 'A kiss on the hand can be quite continental, but diamonds are a girl's best friend.' The lyrics just echoed in my head, as if coming down a long corridor of sound form the past. I asked, 'What's that?' She said it was a song from an old movie, sung by someone famous: Marilyn Monroe. My aunt only said that she was a singer, but I had this coy, sly feeling and said to myself, 'Why do I feel like she's talking about me?'" Adrian Finkelstein, M.D. is a board certified psychiatrist and former Assistant Clinical Professor of Psychiatry at UCLA, and a former Assistant Professor of Psychiatry at the Chicago Medical School and Rush Medical School and University. Also, he is the former Chief of Outpatient Psychiatry at Mount Sinai Medical Center in Chicago. He was born in Bukarest, Romania, and recieved his medical education at Hadassah Medical School, Hebrew University in Jersalem, Israel. Additionally, he was recipient of the first distinguished research award upon graduation from the Menninger School of Psychiatry in Topeka, Kansas, as well as being granted for his body-mind research work, the distinguished first award from a national forum, the Central Neuropsychiatric Association. Currently, Dr. Finkelstein is on the Education Medical Staff of Cedars Sinai Medical Center and Thalians Mental Health, teaching Therapeutic and Regression Hypnosis--including Introduction to Parapsychology--to UCLA psychiatric residents, medical students, psychologists, social workers and nursing staff as part of Complementary and Alternative Medicine. Dr. Finkelstein now resides and practices in Malibu, California.